Leather Neck ID Badge Holder with Chain | BUDK.com - Knives & Swords At The Lowest Prices! 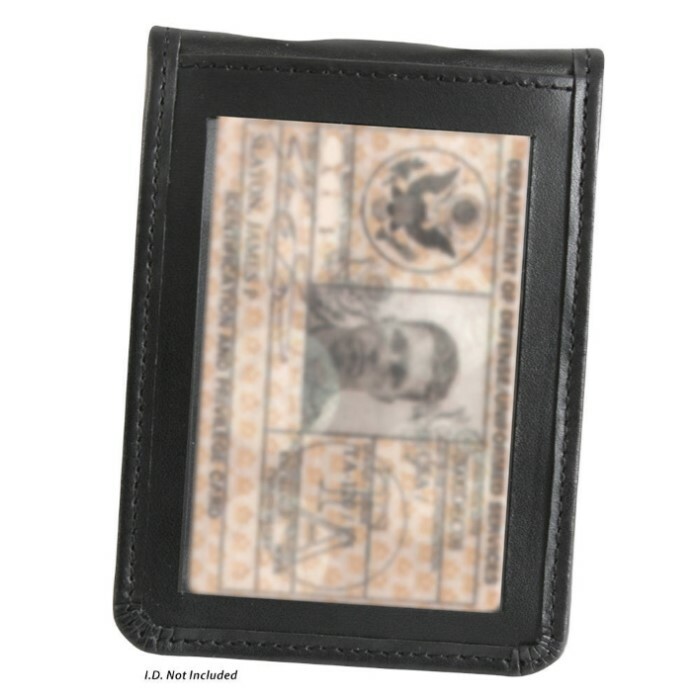 This ID Badge Holder comes with everything you need to wear your badge any way you want. 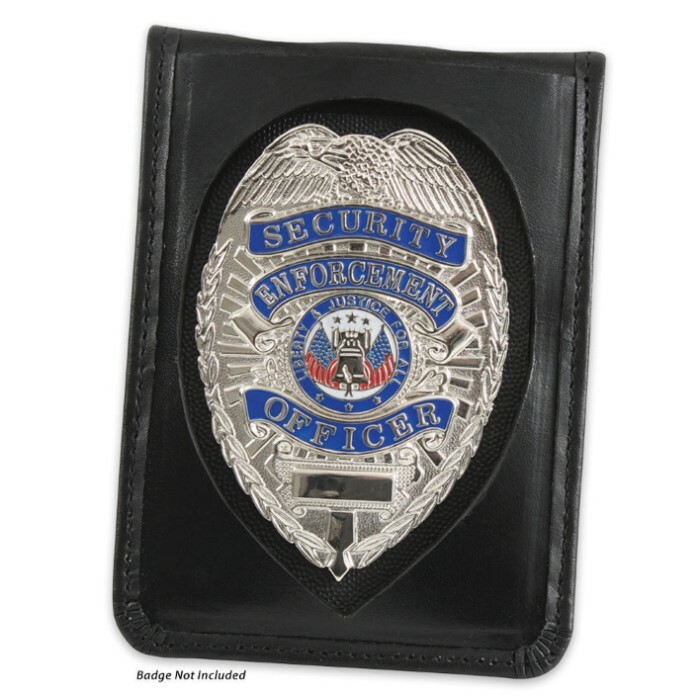 This badge holder is constructed of leather for durability. 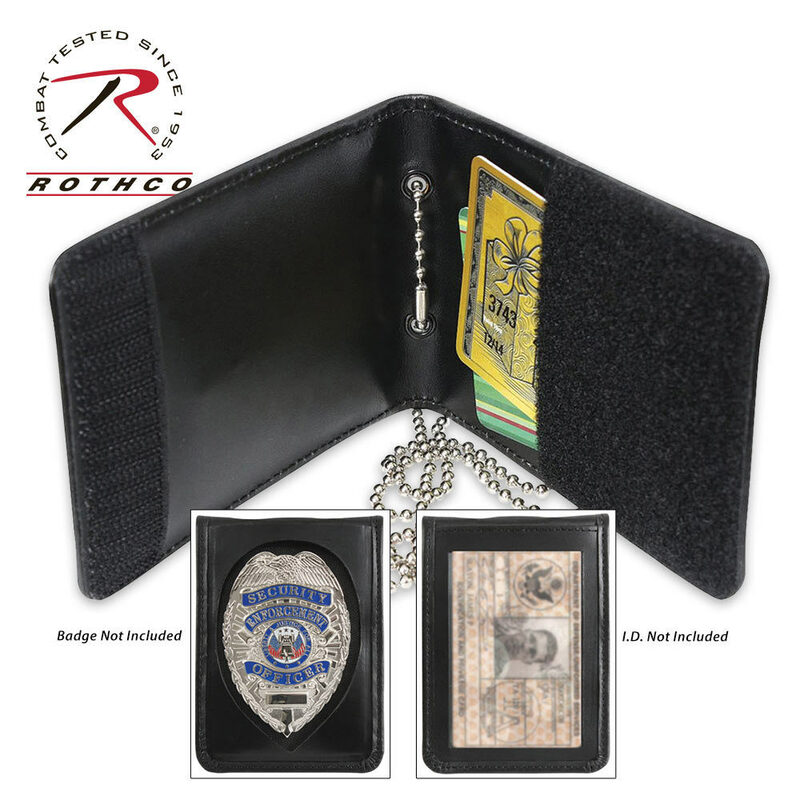 The bi-fold badge holder folds and closes with a hook and loop closure and also has a clear window for your ID and a cutout window for your badge. It includes a 33" chain so you can wear your badge around your neck, but you can also wear it on your belt or keep it in your pocket. This ID and Badge Holder has it all!